Micromax has officially launched its new smartphone named Micromax A111 Canvas Doodle in their canvas series of phones. The phone comes with a 5.3 inch capacitive touch with the resolution of 960x540 pixels. It runs on Android 4.1 Jelly Bean operating system and powered by a 1.2 GHz quad core processor with 512 MB RAM. It has 4 GB of internal memory and expandable memory up to 32 GB. It features 8 MP rear camera with auto focus and dual LED flash features. And there is a 0.3 MP VGA front facing camera also. The phone equipped with a 2100 mAh battery that gives 6.5 hours of talk time. It has the connectivity options are3G, Wi-Fi, GPRS and Blueooth. 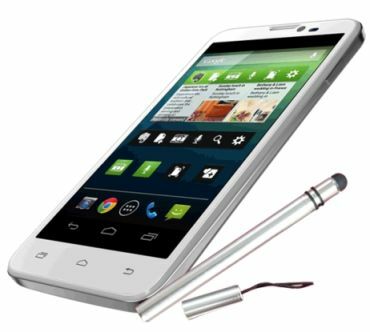 Micromax A111 Canvas Doodle is priced at Rs. 12999. The phone is available now on Snapdeal and other popular online stores. The phone comes with a stylus and a free flip cover also.